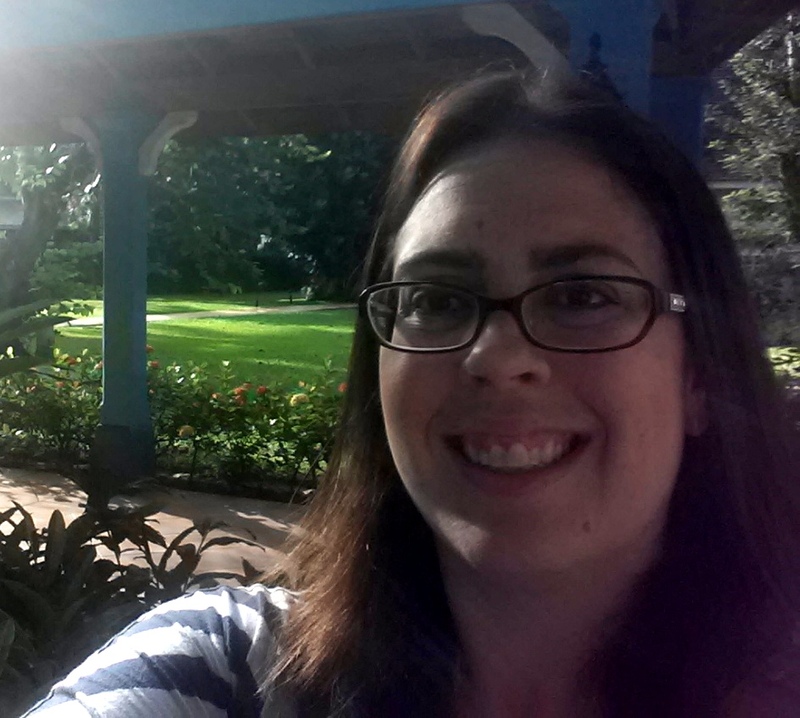 Last month I had the amazing opportunity to visit our offices in the country of Jamaica. This was the first time that I had been to Jamaica, so I took everything in as I arrived. After a layover in Miami, I was on my way and landed on the ground in pitch black. I headed through immigration, customs and then waiting for my ride to my hotel, I confirmed with our offices our meeting for the next day. I was so excited to see the island and to meet with all of our prospective au pairs at the office in Mandeville. The next morning, I had a driver pick me up to drive me from Montego Bay to Mandeville. The drive was beautiful and I feel as though I was able to see the real Jamaica as I rode in the passenger seat (on the left side of the car) through the windy, hilly roads which were not always paved. Jamaica is very tropical and when the big storms surge through, they raise havoc on the road, creating very large potholes. As the country is full of poverty, you often see individuals filling in the holes in the road in hopes of making some extra money for doing the hard labor. This was my first introduction into how hard working the Jamaican people are and how much pride they have for their country and culture. The drive was beautiful and I couldn’t help but marvel at everything I saw. So many fruit and vegetable stands on the side of the road, people walking to school with their kids, dogs and sheep running around and people just enjoying their lives. I had all of the various trees pointed out to me and also the beautiful birds. We were in a hurry to get to the meeting and it took over two hours to actually arrive to the center of the island for the meetings. When I arrived at the offices of our partner, I was introduced to all of the staff and had a tour of the facilities. The most impressive feature being the classroom where they offer various development courses for all of the individuals. The office helps the residents, from 18 to 80, in professional development in order to assist them in finding employment. They have a partnership with the university, as well as the government, to provide these options to encourage all to continue to improve themselves. Every single person I encountered was courteous and kind, even given the fact that they are not used to seeing someone like me (a tall, very American woman) walking around their town. Our wonderful partner meets with all prospective au pair candidates one on one and advises them on their opportunities, how to improve their background to make them a better candidate and screening them thoroughly for accuracy in their application. All applicants are advised on what it means to be an au pair in the USA, how to work with a host family and also go through a complete First Aid/CPR training program before they leave. Now, after discussions with the offices, they will even be educating the drivers on driving in the USA to better prepare them for what it is like to drive in our country once matched with a family. After seeing the offices, meeting the crew and seeing how the operations works, the next thing on the itinerary was to meet some of the applicants, both current and prospective, in the classroom in order to talk more about the program, what to expect, what American families are looking for and what our agency represents. All I can say about this is WOW! I was so impressed with each and every one of the applicants. 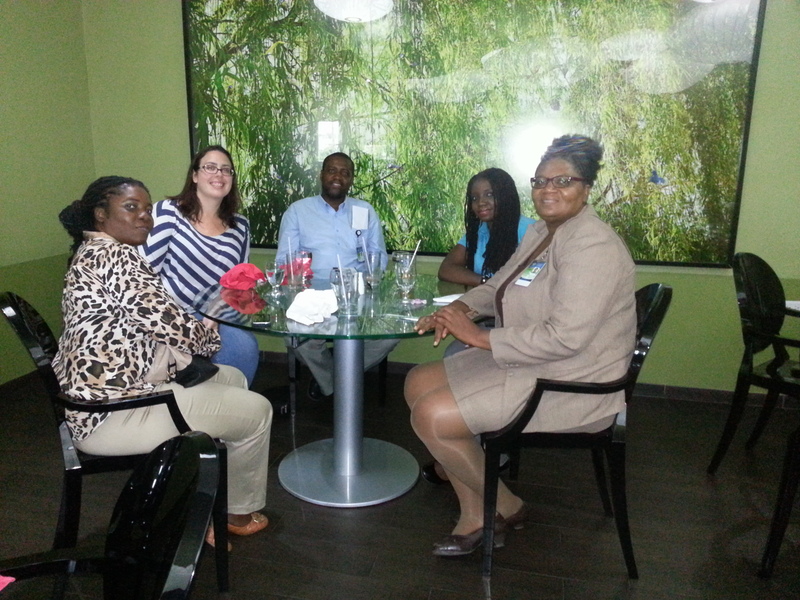 They were kind and courteous and had wonderful questions for me about the program. I actually made some notes for girls that I thought would be fabulous applicants for my own family in a few months, if they are still available! The biggest questions seemed to be what the families were like, what types of things they could do with the kids, how they could be the best au pair, etc. Now, normally when I meet a group of prospective au pairs, the questions are “where does the family live”, “how much time will I get off”, in addition to the normal questions about the families, but I didn’t get these questions at all from this wonderful group of ladies! They really were most concerned with having the opportunity to come to the USA, take care of children and experience the life. The energy that they gave off with their excitement and smiles was contagious! I walked away from the meeting truly feeling positive that we decided to start offering candidates from Jamaica. We finalized the meeting and then I was treated to a delicious lunch with the staff of the office who could break away from helping their candidates and chatted more about how we could continue to improve. 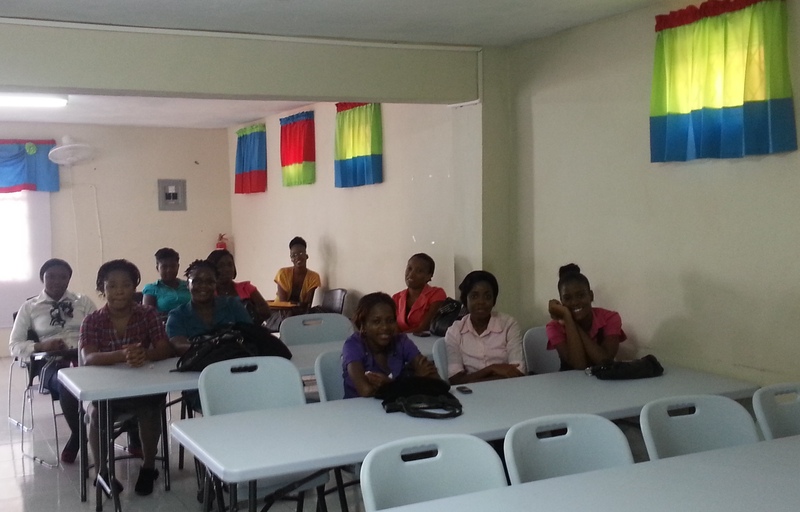 The staff of the Mandeville office is really interested in continuing to build the program, support the candidates and make sure that they are well prepared to offer the best to our host families. Again, making me more sure that we made a great choice by chosing Jamaica as one of our source countries for applicants. Well, lunch was finished and a quick pop-in the offices to say good-bye to the crew and I was back in the car for my long journey back to Montego Bay. Again, I cannot even express in words how magnificent this drive was for me. I love to travel and getting to see the country from the road was a real treat. I did not have the opportunity for any photos, as the driver was keeping time, so no side trips or pulling over to the side of the road! Back at the hotel and I couldn’t stop thinking about everyone I met and saw on my one-day trip to Mandeville and back. I feel so fortunate that I consistently get to visit new places and meet the wonderful participants of our program and partner offices and this was a trip that I would always remember. I spent the next day on the beautiful beach, snorkeling and really getting to know some of the locals who worked at and around the hotel. I loved learning more about the cultural and the people of Jamaica, what a determined and hardworking nation of people! This posting was written by Katrina Vanderhulst, Director of International Programs for Au Pair International. API has some amazing applicants from Jamaica currently. Please take a moment to review their profiles and consider interviewing a candidate to be your next au pair so that you can also share in the learning of the Jamaican culture, teach them about American culture AND have a reason to visit Jamaica after their program year is complete! Ya mon! 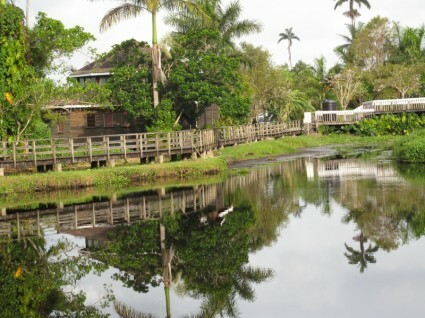 Bonus: Match with an au pair from Jamaica by the end of 2013 and save an additional $100 off of your program fees! Or check out our other au pairs from Jamaica on our website. Jellyfish are beautiful marine creatures that can be found in oceans all over the world, even near Antarctica. They can be found at the surface of the water or down deep in the sea. 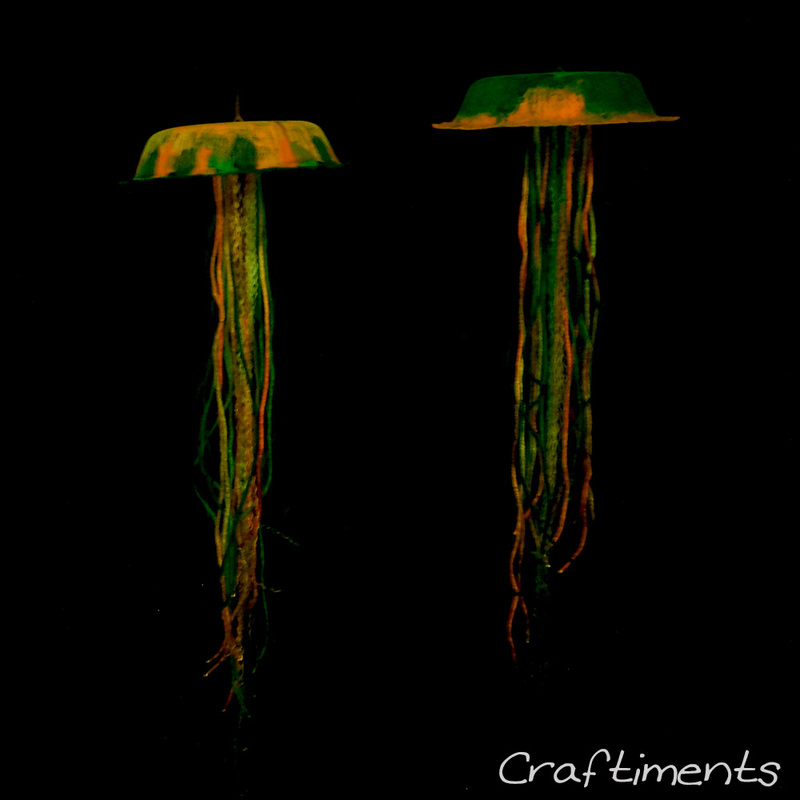 They are very simple organisms that have an umbrella-shaped top and tentacles that trail below. Jellyfish use their tentacles like a net to find food. Their tentacles also are a great defense mechanism since they carry venom that is shot into a predator, temporarily paralyzing it and allowing the jellyfish to escape. 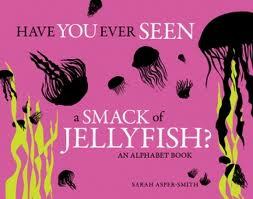 … some jellyfish are bigger than a human and others are as small as a pinhead? 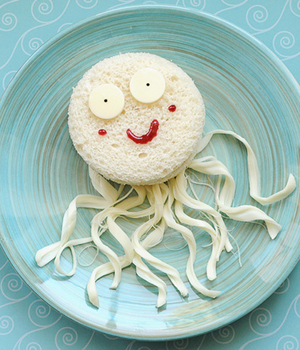 … people in some countries eat jellyfish? … that jellyfish have been on Earth for millions of years, even before dinosaurs? … jellyfish have no brain but some kinds have eyes? 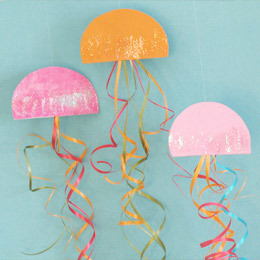 … that jellyfish are mainly made up of water and protein? 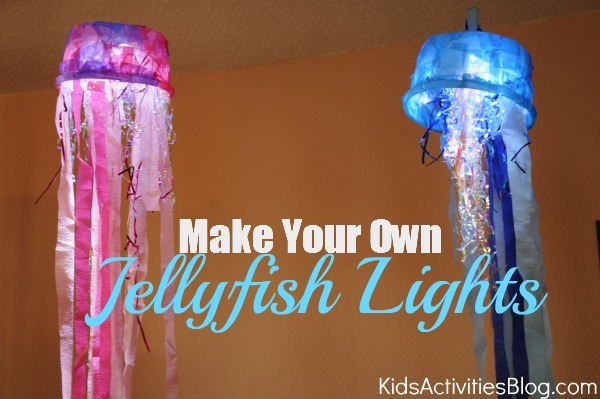 Make your own jellyfish lights. 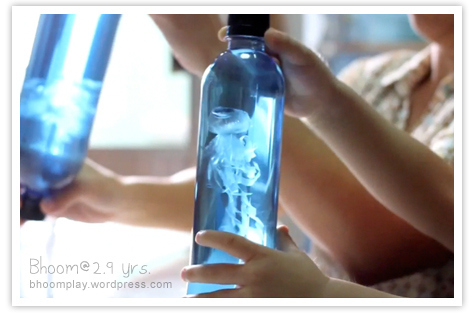 Check out this amazing jellyfish in a bottle. 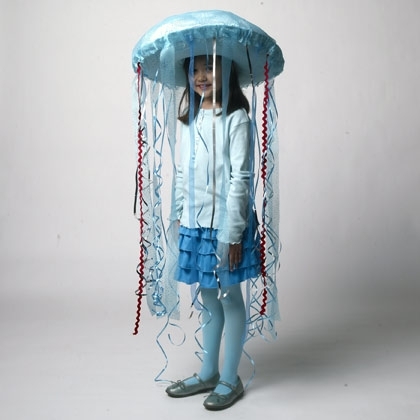 Create a fun jellyfish umbrella. 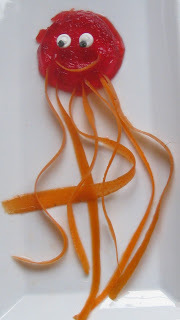 These are beautiful ribbon jellyfish. 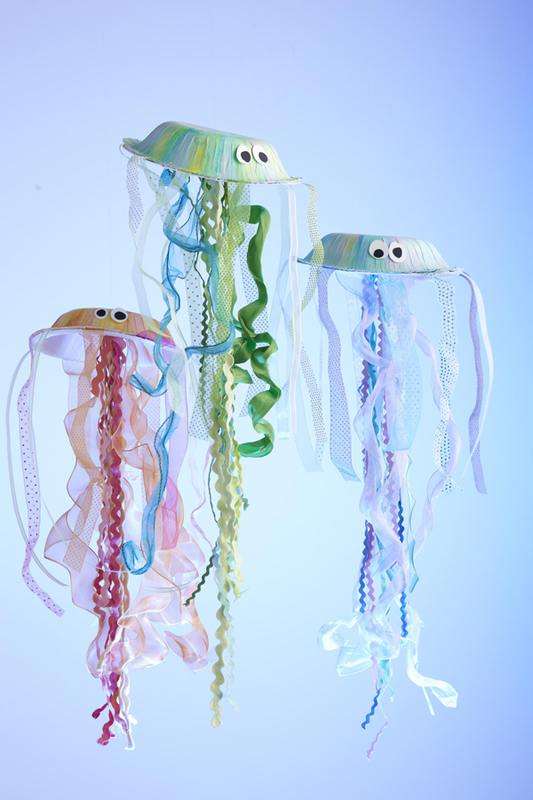 These jellyfish are easy for kids of any age. 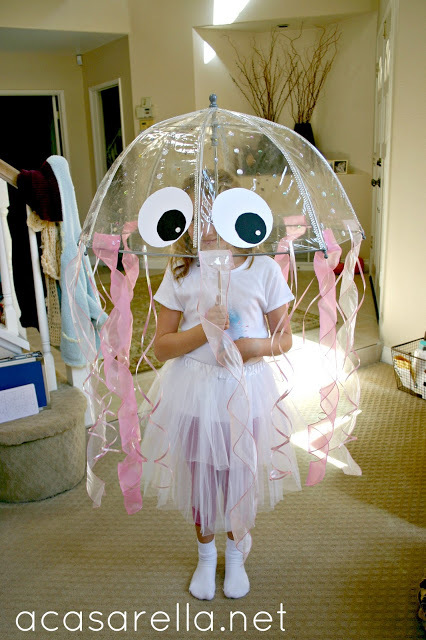 Pretend with this no-sew jellyfish costume. 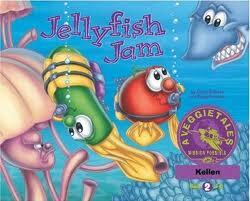 Books about Jellyfish: Go visit your local library to find these and other books about jellyfish. Theme of the Week: Au Pair International developed the Theme of the Week to give au pairs different ideas of things to do with the kids they take care of. If you are interested in learning more about the Au Pair Program, contact Au Pair International. “Europe Day (9 May) celebrates peace and unity in Europe. The date marks the anniversary of the historical ‘Schuman declaration‘. At a speech in Paris in 1950, the French foreign minister, Robert Schuman, set out his idea for a new form of political cooperation in Europe, which would make war between Europe’s nations unthinkable. The original founding nations were Belgium, France, Italy, Luxembourg, the Netherlands, and West Germany. Now the EU has 27 members: Austria, Belgium, Bulgaria, Cyprus, the Czech Republic, Denmark, Estonia, Finland, France, Germany, Greece, Hungary, Ireland, Italy, Latvia, Lithuania, Luxembourg, Malta, the Netherlands, Poland, Portugal, Romania, Slovakia, Slovenia, Spain, Sweden, and the United Kingdom. Play an online matching game with all the flags of the EU. Learn more about the European Union with this fun quiz. Collect Euros in the fun online game. In honor of Europe Day we are highlighting some of our Au Pairs from the countries that make up the EU. After a successful first year with a family of four children, Andreja is looking forward to spending more time in the USA. She is confident driving on US roads and has a 7 year driving record in Slovenia. Before becoming an au pair, She has excellent English, is knowledgeable in First Aid, CPR, and Water Safety. She also holds a degree as a swimming instructor. Soraya is 26 years of age with 5300 childcare hours. She has 3100 hours from caring for children under the age of 2. Soraya gained her childcare abilities from babysitting several children over the years. In addition, she has experience teaching dance to children after school. Soraya is an excellent swimmer and certified in CPR and First Aid. Check out her video. Interested in a Spanish au pair? See the others we have available. Carolin has 2000 hours of childcare experience and has been driving for a period of 3.5 years. She gained her childcare knowledge from working in a daycare center caring for children ages 2-6. Carolin has experience with children that have minor physical and learning disabilities and is currently studying to become a nursery nurse. She describes herself to be a responsible, warm and creative caregiver. See our other German candidates. Ieva is 23 years old with 5300 childcare hours, 1600 of which are from caring for children under the age of 2. She gained her childcare experience from being a nanny, volunteering in daycare centers, and working as an au pair in Greece. Ieva is fluent in three languages and has excellent English. Jessica is 25 years of age with 1600 hours of childcare experience from babysitting and being an au pair. Jessica has very good English and has been driving for 5 years. She describes herself to be a patient and responsible caregiver who is knowledgeable in First Aid. Jessica is willing to care for children with both physical and learning disabilities. Stephanie is a Professional Au Pair with over 8000 childcare hours, 4000 of which is from working with children under the age of 2. Stephanie has excellent English and Swimming abilities and is knowledgeable in First Aid. She loves to plan activities for children and get them excited to be involved! Check out our other Dutch au pairs. Lemonia (Leni) gained her experience in childcare from working in a daycare center, babysitting, and caring for younger family members. 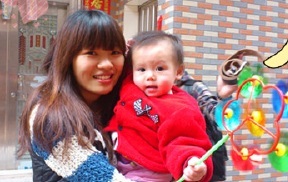 She is 25 years old with very good English skills and a Master’s Degree in Biochemistry/Biotechnology. Leni describes herself to be a patient and trustworthy multi-tasker. Interested in Greek candidates? Here are some others. Julia has good English and speaks a total of 4 languages. In addition, she is an excellent swimmer and has been driving for 2 years. Her references describe her to be a patient and responsible caregiver that has many ideas to keep children occupied. In addition, they say she has experience helping with homework and preparing meals for their children. Rodica is 23 years of age and has been driving for a period of 5 years. Rodica has very good English and enjoys playing interactive games with the children she cares for. She feels that the au pair program is a chance to combine two of her passions: travelling and childcare. Check out our other Romanian candidates. Jennifer has over 1000 hours of childcare experience from babysitting and interning in a primary school. She describes herself to be a caring, sensitive, and creative caregiver that has a high capacity to manage stressful situations. Jennifer is 23 years old with excellent English. HF Q’s: My new au pair is about to arrive. What should I expect? Congratulations on getting your new au pair! What an exciting time. It is a good idea to have realistic expectations so your match can get started off on the right track. Arrival – As excited as your au pair is going to be chances are she is also going to be wiped out. The regulations state that au pairs cannot be responsible for the children during the first 3 days after arrival so that they can have time to acclimate to your home and the US. It is a good idea to use this time to help her to get to know your home and family. Don’t plan anything too big during the first few days and give her a chance to settle in. Driving – Even the best of drivers can be intimidated by driving in the US. Our roads and vehicles are bigger than they are used to and many countries don’t have the same standards of driving. We recommend all au pairs get a US drivers license but many can drive on their country’s license. Be prepared to ease your au pair into driving and don’t get frustrated if she doesn’t pick it up right away. Homesickness – As you can imagine being away from friends and family isn’t easy for anyone. Add to that being in a different country and speaking a different language and it can get quite difficult. Encourage your au pair to get out and meet people. Starting on her education is a good start, but there are a lot of other possibilities. Churches, international student organizations, meet up groups, rec leagues and ethnic restaurants are good places to meet new people. Your Area Director will have some ideas for your area. A good piece of advice is to treat your au pair how you would want someone to treat your son or daughter if they were staying with them. If you always keep that in mind, then you won’t go wrong. Remember that while your host family, Area Director and agency are here to help you, ultimately your happiness is up to you. You have an amazing opportunity to gain so many new and beneficial experiences. Take advantage of every chance you get to learn and grow. Remember that you are here to 1) help make your host family’s lives easier, and 2) learn about the US. Don’t be surprised if families in the US raise their children differently than you are used to. Find out how they want you to assist them in raising their children and then follow their lead. Finally, although it will be an adjustment at first, if you give it your best you will have one of the greatest experiences of your life. Au Pair Adventures – Caren’s cute kids! Caren has another story that shows why she loves being an au pair. We at Au Pair International are officially kicking off our Fall Photo Contest today! All during the month of October our au pairs will have the chance to submit photos of themselves doing various crafts with their host family for a chance to receive a $50 gift card! No limit to the number of entries and the winning photo will be announced on the Au Pair International Blog, Newsletter, Facebook and Twitter pages. See below for contest details and regulations! Each weekday during the month of October we will post a fun craft or recipe that each au pair can do with their host family. Send us photo’s of you creating one (or many) or these fun ideas with your host family in order to be entered for a chance to win a $50 gift card! Contest crafts will be posted on our Blog, Facebook Page, and Twitter Page…so be sure to check them daily! You must have the consent of your host family to enter their photos into the Fall Photo Contest. All entries become the property of Au Pair International and may be used for promotional purposes on our website, Facebook page, Twitter page, Blog, and any other media deemed appropriate by Au Pair International. No limit to the number of contest entries. Contest ends at Midnight (EST) on October 31st, 2012 and all photos must be submitted before Midnight (EST) on November 2nd, 2012. All contest entries will be judged by a panel selected by Au Pair International and the winner announced on Monday, November 5th 2012. Winning au pair will receive a $50 gift card! 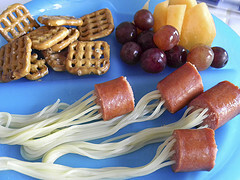 The first craft idea for our Fall Photo Contest comes to us from www.glorioustreats.com! 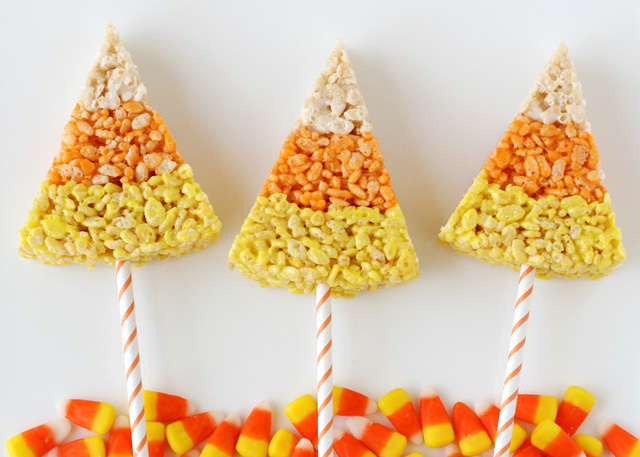 These Candy Corn Krispie Treats are super easy to make and even more fun to eat! Click Here to find detailed directions on how to make this festive treat with your host family! However, be sure to get their permission before submitting their photos to aupairsupport@aupairint.com for entry into our contest!